Last week, we’re profiled the Twitter Success Story of New York PR firm, Candis Communications. We told how its owner, Will Candis, leverages his localized knowledge, and extensive research skills, to craft highly targeted marketing messages for his clients. 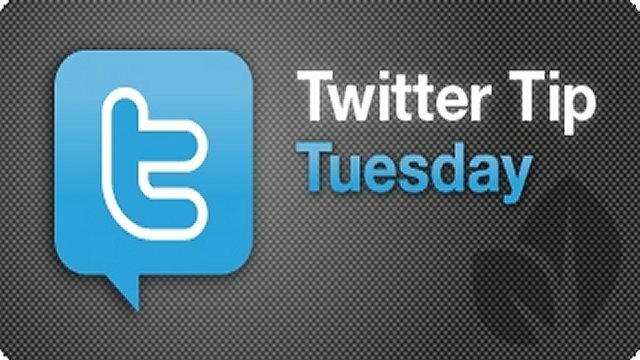 This week, we continue with the theme of how an individual’s successful Twitter strategies can affect the success of his or her clients. In this case, we’re profiling how Scott Lazerson, a Utah based strategic relationship consultant, leverages his vast network of contacts and celebrities for the benefit of others. Scott “and his fantastic team” (he’s quick to point out), use the power of Twitter to spread and accelerate their clients’ vision. In addition to Lindsay Lohan, Scott regularly enlists influencers (and personal friends) like @CarmenElectra, @KaleyCuoco, and @TerrellOwens — to help get the word out for his clients. Scott provides a great example of how he leveraged his connections in order to help a small not-for-profit company get through to TOMS shoes. “A local college kid here in Utah that has a small non-profit in the Philippines had been desperately trying to connect with TOMS shoes,” says Lazerson. “He was hoping to do a shoe drop in the Philippines but neither he, nor I, could get through to anyone at TOMS shoes to see if they’d be interested in participating,” Lazerson adds. Lazerson, who had worked with Lindsay Lohan on her documentary, Indian Journey (about the global child trafficking crisis), figured that Lohan would also be interested in helping out with this philanthropic project too. “I reached out to Lindsay, and she immediately tweeted out to TOMS saying they should talk to @scottlazerson about an opportunity to bring TOMS shoes to the Philippines. Within an hour we heard from TOMS and the process began,” says Lazerson. Organically using connections like Ms. Lohan “accelerated the process to get supplies to the right country,” Lazerson adds. 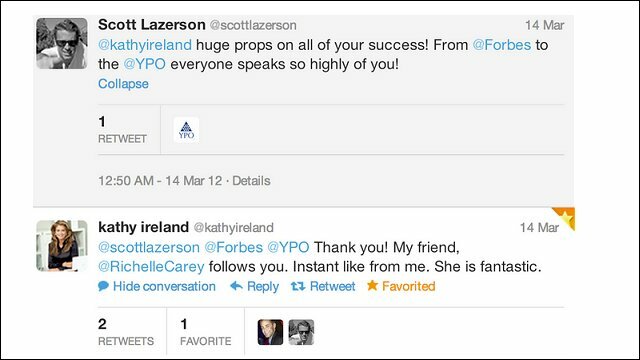 In more general terms, when dealing with high-profile or celebrity connections, Lazerson recommends that “when you meet someone famous or influential, you always have to do a follow-up.” After working for Larry King in the early nineties, Scott learned that if you follow up, not just with the famous person but also with his or her team (whether that’s a PR person or an assistant or an intern) “you’ll immediately stand out from the crowd,” he says. Not all of us have celebrity connections like Scott Lazerson. Nevertheless, his strategies of connecting with people and knowing when and how to leverage those connections is a lesson that can applied, whether you have 50 — or 50,000 followers. Lazerson also advises that the more introductions you can make, the better it is for everyone concerned. You want to be the person who makes introductions to people “you didn’t even know you needed to know,” he says. In the spirit of that philosophy, please feel free to reach out to @scottlazerson on Twitter (and perhaps let him know that @Sprout_Insights sent you). Also, in keeping with Scott’s advice on following up with the team, we’d like to thank Scott’s assistants, Betsie Jonas and @tyler_burton, for helping out with the creation of this story!